SCVHistory.com | A.B. Perkins: Tales of Lang and Soledad, 3-23-1961. The true story of how Sulphur Springs got its name. By A.B. Perkins, Santa Clarita Valley Historian. Back in 1851, the problem of getting from here to there in California was a major problem. There was no money available for roads. As a result the very first Legislature played it safe by legitimatizing all roads "then in use" — which meant the trails between the old Missions and, locally, the "Tulare Road to the Mines." That latter road came from Los Angeles, via Cahuenga Pass, to Mission San Fernando, Rancho San Francisquito, and via the "Canada of Alamos" (now San Francisquito), to Rabbit Lake (now Elizabeth) thence to Tejon and onwards to the north. At the Rio Santa Clara, the Trail branched, westerly to the ocean, easterly a mile or so up "the place called Soledad" (Canyon), thence northerly into the San Francisquito. 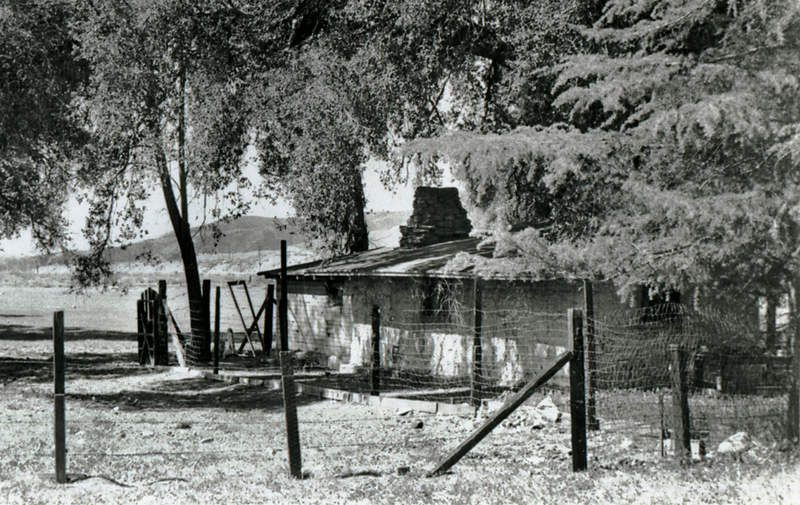 The adobe buildings of the Mission granary stood alone in the valley at Castaic Junction. It was probably 1854 that the few adobes necessary to staging or freighting were built at Lyon Station (at today's junction of Highway 6 and San Fernando Road). Soledad was solitude beyond the San Francisquito turnoff, 20 miles of it, intensified. It was occupied only by Indians, grizzly bears, coyotes and jackrabbits. In 1853, the Pacific Railroad Survey brought the first wagon down the canyon. There was no traffic control then — nor was any needed, unless possibly a Forest Ranger to control the grizzlies. Thomas Finley Mitchell came to California from Virginia, via Texas and service in the Mexican War with the Texas Mounted Volunteers, Company C, serving under General Sam Houston in 1852. He was in the northern mines for the next eight years, with varying degrees of success. Whether it was the current revival of the local placer operations that first brought him to this area is not known. That wouldn't be important — he came, and in 1860 became the first American resident in Soledad Canyon, squatting by the creek bed (westerly and southerly of the Soledad Canyon and Sand Canyon Road junction). There Thomas Finley Mitchell started his cattle ranch. He had no problems, except of course, the times when the grizzlies outnumbered the cattle feeding in the canyon — or too many Indians feeding on his cattle. Getting along with Indians was quite a trick. There was no help from Emily Post. The Indian etiquette was a law unto itself. It required quite a sense of humor to understand it successfully. For example, Mitchell butchered a steer one day. It was hanging from a tree when a group of Indians came by. As usual, they wanted food and were given half of the steer. They ate that right away — and during the night came by again and made off with the rest of the steer. At this point, if you were involved, it was your cue to laugh. After settling and checking the canyon traffic count, Mitchell went up to the Tehachapi, bought a small frame miner's cabin, knocked it down, and freighted it down to Soledad, reassembling it for living quarters. Thereto he built on an unusual shale fireplace. Having taken all possible precautions to more or less getting out of everybody's way, the usual happened. Up at the head of the canyon, copper ore was found in 1861, a mining boomlet developed, and the road, of course, went right past Mitchell's new ranch. There might have been a wagon a day, or a couple of mule riders, keeping dust and tensions stirred up. 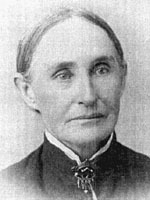 After a few years of living alone and not liking it, Mitchell went down to San Gabriel and married Miss Martha Taylor, a reformed Arkansan by California residence. The cabin being slightly crowded, inspired the adobe, some 40 feet distant, to relieve the congestion. It is true that, at times, it became expedient for his family to live elsewhere, temporarily, when social entanglements with the natives became too strained for safety. However, throughout the '60s, there had been a consistent traffic pickup on the Soledad road. Originally due to the finding of silver/copper "picture rock," Soledad mining camp came into existence (at Ravenna, as of today). It flopped and ghosted. After a couple of years, some bright soul discovered that certain Mexican Miners thereabout were grinding Soledad ores in their arrastras and doing quite well at it, thank you, recovering gold. Of course, the tip exploded the little mining camp again. Then that boomlet petered out. It was mining that kept the freighters on the road, not necessarily for Soledad, but for the Mines of the Cerro, the Slate Range, the inland valleys — to which Soledad canyon provided the most direct route. There was a time — say from 1861 to the completion of the Railroad in 1876, that Soledad Canyon traffic was heavy enough to warrant a Toll road. Where the toll gate — if any — was located is not known. In 1870, Remi Nadeau alone was running 80 teams, 14 mules to a team, over a hundred employees, freighting to the Slate Range, Cerro Gordo, and mining camps of the Inyo. To that could be added the Stage lines from Los Angeles to the same destinations. As a matter of fact, 13½ miles from Lyon Station on the Mitchell ranch, was "Mail Station," sometimes called Thompson's postoffice. It is not recorded in the Post Office records, and probably had about the same rating as Postoffice Springs, up in the Panamint Valley, meaning nothing officially, but canyon dwellers by mutual consent had their mail parked there. Later the railroad located "Kent Station" to take Mail Station's place, the last stop before Surrey. Soledad landmarks seldom lasted, unless well elevated. Floods saw to that. Naturally all this traffic shoved the native Indians further into the background, to the benefit of increase of Mitchell's cattle. The honey market was also bettering as Los Angeles grew — Mitchell alone producing as high as 40 tons in a season. Think of a bee having to pile that up. 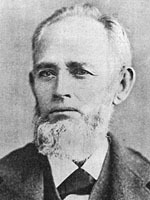 Successful with his cattle, Mitchell acquired to 160 acres, later adding lands that raised his holdings to nearly a thousand acres. Some general farming and agriculture was successfully added to his accomplishments. John Lang was also a pioneer by Instinct. Coming to California in 1854, he had made the first cheese vats in the State. He was in the Nevada Comstock Rush, but his wife's health forced a move to Los Angeles where he developed 35 acres in fruits and vegetables profitably. Lang planted an extensive orchard. It included lemons as well as the deciduous fruits, and there were also berries and vegetables. He built a hotel, about 36x36, two-storied, and soon had quite a county reputation as a resort offering exceptionally good hunting — if you liked grizzlies — while Lang's hotel and dining room was an anachronism in that canyon setting, catering adequately to those despondent enough to drink, or bathe, in the stinking sulphur waters. It was John Lang who, in 1873, trailed down and killed the "Monarch of the Coast," a tremendous grizzly who had killed six hunters and laid John Wemple Searles up for a year. The grizzly is supposed to have weighed over 2,300 lbs. The Soledad was not for the timid and faint of heart. What about school? (doubtless a re-action confined to adults only). The nearest school was up at Soledad, or possibly at Newhall — both settlements miles away. Mitchell family adobe. Click image for more. In 1879, the Sulphur Springs School District was organized. (Editor's Note: 1872 is generally accepted as the correct date.) Very roughly, it may be said to have run from the Mitchell ranch up the canyon to Agua Dulce. The Mitchells loaned a room in the old adobe and the school got underway. The register for the first year listed Broderick, William, James and Maggie Lang; Frank, Fanny, Bettie and Maggie Mitchell, and Janet and Alice Stewart. In 1880, there were five Langs, three Mitchells and two Stewarts, studying under Miss Bowers, their teacher. In 1885, Sulphur Springs School must have busted its seams, when two Langs, three Mitchells, were joined by three Mannings, two Suracos, three Smiths, two Cuneos, one Erwin and one Lorbeer. The record indicates Col. Mitchell donating a site. It may have been the easiest way to get them out of his kitchen. Peculiarly, this seems to be the only adobe school ever in the township. It can't be said to still exist. Nor can it be said too positively that it doesn't exist. Apparently what happened was that the old adobe sort of started disintegrating where it stood without opposition. It's still the old adobe — or is it? There were never many names involved in the canyon story. Besides the Patriarch, always affectionately and respectfully referred to as "Colonel" Mitchell, canyon names might include Youngbloods, Mannings, Cuneos and Reyniers. Tychsens and Henry Thomas were up in Mint canyon. Erwins were down by Honby, closer to Surrey. The railroad ended both the freighting and staging. That meant that later mining activities, such as the Gleason and Cedar mining district up by Acton boomed and busted without interfering with the rest of the area, in 1890. In 1910 the opening of the Sterling Borax bothered no one. They shipped from Lang Station — but the Langs had been LONG gone from the area. Incidentally, there was a notation in the Sulphur Springs School register, 1918-1919. It said, "School closed so much that record became confused." There was a war on. The quiet of the canyon, succeeding the more hectic mining days, was probably all to the good for Col. Mitchell. In 1888 he built the family home, a beautiful site amongst old oaks. It stood in two-storied, well-proportioned dignity, but a short distance from the Old Adobe, that had been successively a home, a schoolhouse, a honey house, a store room — and goodness knows what else. Having decided to stay awhile evidently, the Colonel filed upon the Soledad waters, claiming 300 miners inches by the "white point" — a ranch landmark. The filing showed use for the preceding 19 years. The Sulphur Springs School district got along with the little one-room school house for a half-century. Not until folks started drifting into the Sand Canyon about 1940 was enlargement necessary. Then it doubled its size — two rooms. There are Mitchells yet in the old Soledad Township (pardon us, Newhall Judicial District) but roofs now mark old placer diggings, old ranches, hills and valleys are becoming a level freeway. Old Soledad has slept since mining days. New blood, a new generation, new enterprises have taken over. The old Colonel left his canyon forever December 24, 1907. There haven't been too many changes in the Soledad landscape. He might not have liked the loss of his seclusion, his solitude. Another, maybe a better guess, that one of Sam Houston's Texas Volunteers might have admired the foresight, the nerve, represented in the hundreds of homes of Santa Clarita and those miles of water mains, forerunners, not followers, of progress. In historical research, one never knows how the story started is going to end. Off-hand, it wouldn't have seemed reasonable that the story of a mud hut could encompass the background history of the Soledad Canyon, the Sulphur Springs School District, and the grand old pioneer — Colonel T.F. Mitchell. A.B. 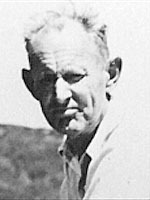 Perkins (1891-1977) was the Santa Clarita Valley's first historian. ©1998 SANTA CLARITA VALLEY HISTORICAL SOCIETY | RIGHTS RESERVED.